Product code: LGNM95T Category: Miscellaneous/अन्य. Coconut is also known as Srifal, meaning that the fruit of Lakshmi. Due to being related to mother Lakshmi, minor coconut has the ability to overcome money problems in moments. 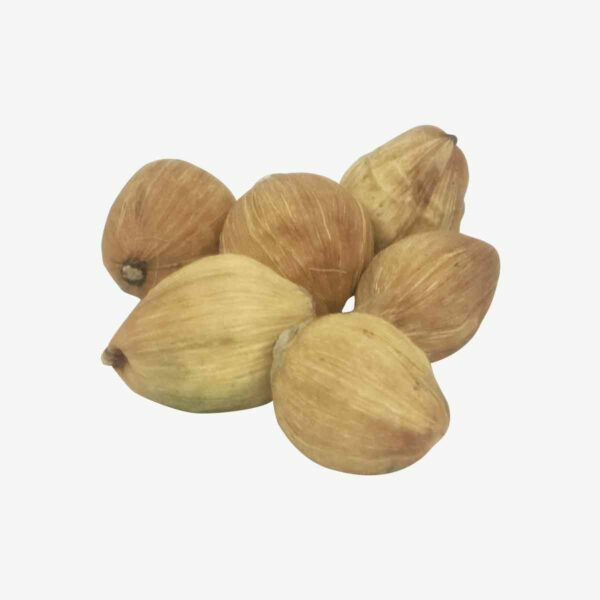 Laghu Nariyal is slightly smaller in size than coconut, but its effects are extremely quenching. If you are going through some kind of economic problems, then you should set up a Laghu Nariyal in your house. People affected by debt also benefit from the effect of Laghu Nariyal. There is no shortage of money and grains in the house in the presence of Laghu Nariyal. The effect of this is to fill the grain stocks in the house. If there is an economic crisis on your family and you have stopped all the solutions, then the small coconut can save you from this crisis. The Laghu Nariyal is so powerful that it can fill your life with wealth. On Tuesday, wrap a coconut one and quarter meter of a red cloth and put it aside at the feet of Hanuman ji. Any kind of obstruction, evil eye defect, fever will diminish. If there is a problem of Rahu, the stress is very much, the anger is coming very much, if the works is not becoming done, then keeps the coconut on a Wednesday night near the head and while sleeping and next day offer it with some donations in the temple of Ganesh and recite the psalm of Ganesh. Every inauspicious thing will become auspicious by removing all obstacles. Tie the 11 Laghu Nariyal in a new yellow cloth and in the eastern corner of the kitchen. This remedy leads to the home of Annapurna Mata. There are stores from grains. The person who receives Annapurna’s asylum, her house is never deprived of money and grain. The mother’s blessings always stay at that house. By which the safe is filled and there is raining of happiness in the house. Laghu Nariyal for Durga accomplishment. Laghu Nariyal for Tantric Prayog. It is offered to the deity with coin and applying sandal on it on auspicious occasions. A businessman can have his desires and ambitions fulfilled if he keeps a Laghu Nariyal in his cash box or treasury, tied in a red piece of cloth. It helps a man earn wealth and prosperity. It has been considered to be the best to have the blessings and benediction of the God. Rahu Ke Sikke is considered a symbol of wealth. It is duly sanctified and energized by the priests of for the providential activities.